France. Refugees. Calais. So-called Jungle camp . 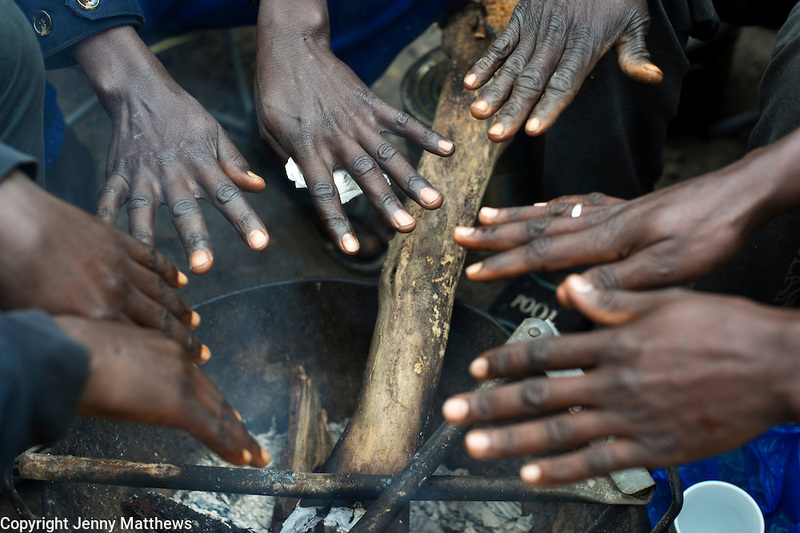 Sudanese refugees try to keep warm holding their hands over a small stick fire.